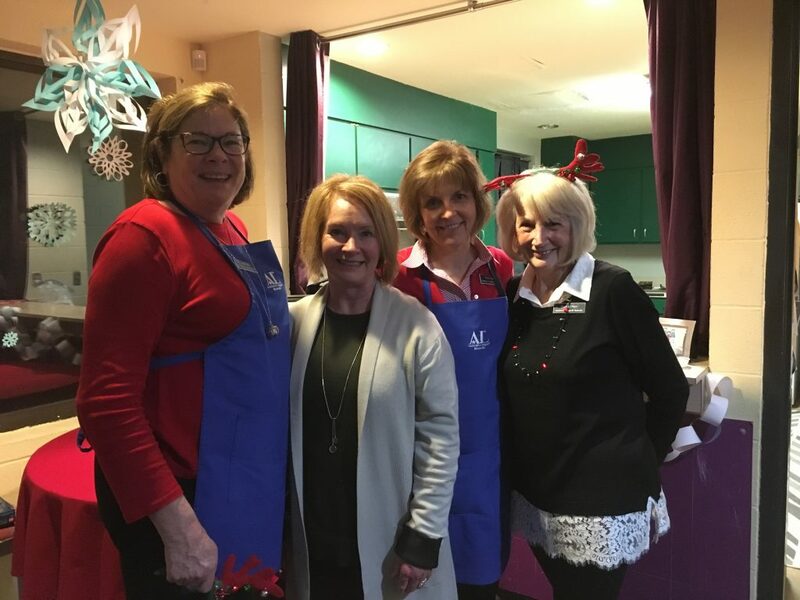 Through our Hand in Hand program, Assistance League of Nashville member volunteers provide services and supplies to the child victims and families assisted by Nashville Children’s Alliance. 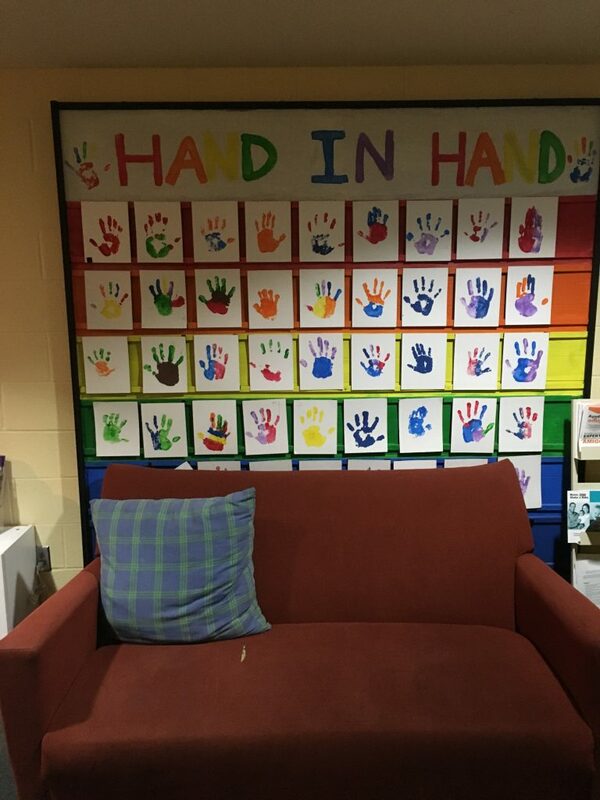 A child-friendly environment is provided, designed to meet sexually abused children’s needs for comfort, safety, and support treatment. Our chapter maintains a “Family Closet” that is stocked with food and other items that are used to aid the families during their crisis. Click here to view a Summary Report for NCA. 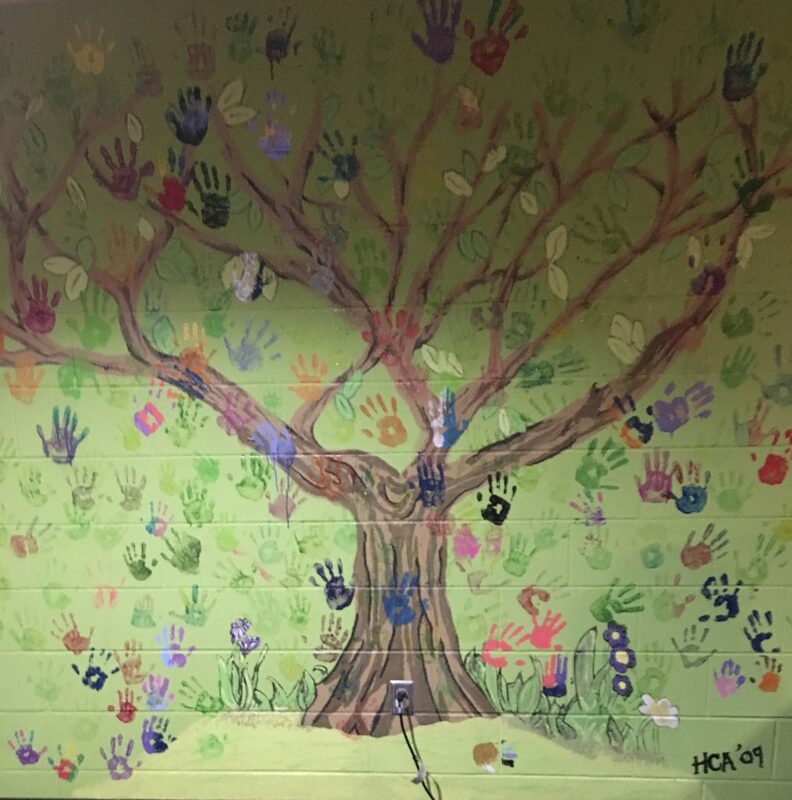 The tree trunk was painted by HCA and the hand prints are from kids that have completed therapy. Today was just a wonderful day for us and we so appreciate your being here and providing jackets, socks, mittens, snacks and goody bags for the children that we serve. We were really pleased with the turnout and are excited about the new jackets “our children” will be wearing this weekend. The project today took a lot of work, time and planning and you all excel in making things happen. You are an incredible group of smart, dedicated and caring women. And you are a lot of fun! Thank you, thank you for giving us your time, energy, creativity and resources. You are the glue that continues to fill the cracks and hold us together and we are grateful. Nashville Children’s Alliance provides free services including interviews, weekly therapy sessions, court support, crisis service to families, and non-offending parent support groups, all by trained and accredited professionals. Andrea Walks VI is a yearly event that benefits Nashville Children’s Alliance. It was named for the First Lady of Tennessee who walked across the state 6 years ago in an effort to increase awareness of child abuse and raise support for Child Advocacy Centers. 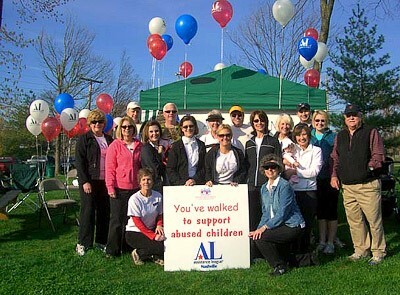 Assistance League of Nashville is a sponsor and has won the largest walk team award for four years 2006-2009! 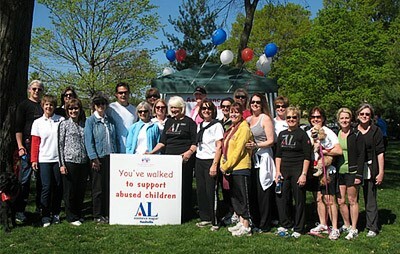 Assistance League of Nashville was a sponsor and won the second largest walk team award for the walk Saturday, April 10, 2010!